Looking for the best DS emulator for PC can be tricky. That’s because there is a number of them and they have multiple versions. Don’t worry as we have our list of the best DS emulators that you can get for your PC. BEST DS Emulators for PC. Works well for Windows 7, 8, and 10. The DuoS emulator is a prime example of being a plane and generic emulator. The good thing is that you can get what you want and what you need from an emulator and you can get a DuoS emulator with ease. Perhaps the strength is that this emulator is simple and easy to get. You don’t have to deal with bugs and emulation issues. The weakness is definitely where it is just a plain emulator. It doesn’t have a quick save and quick load feature. It doesn’t support cheats as well as a turbo button. The NeonDS can be a bit better than DuoS. 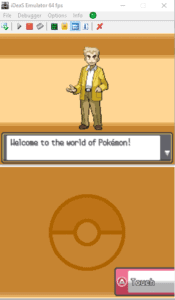 The NeonDS can pretty much fulfill the basic needs of a DS emulator. It can be a bit tricky to use this emulator but when you find the right settings then things will work out well. So make sure you get a reliable NeonDS emulator. The NeonDS is easy to get and it doesn’t have any issues when it comes to emulating the games. It also has save states and supports cheats to use. Setting up the settings for this emulator can be tricky. If you don’t know the other setting terms like memory space, sound drives, and others then this will be very tricky to use. The naming on this one is clever because it simply comes off as iDS. 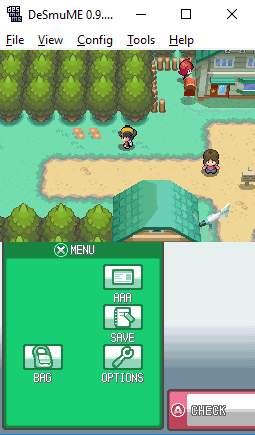 Anyway, this emulator can be easy to use and can be very effective. It doesn’t need to have any settings done but you can adjust it if you want to. 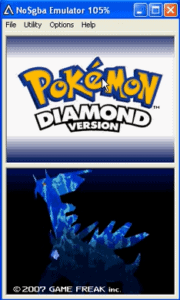 One other thing is that as of now this emulator is the only DS emulator where you can separate the lower screen from the top screen. It doesn’t affect the game and the lower part which is the touch screen area is still functional and that’s really cool when you get iDeaS emulator. The screen splitting can be a good idea in some cases and you can change the resolution. You can also adjust the turbo speed on this one to make it fast or much faster. The emulator doesn’t support cheats so that could be a weakness but there are no other issues with the emulation procedure. No$GBA in its earliest versions was bad. The audio was distorted and the frame rate was very slow. The good thing is that over the years, No$GBA has gotten better and is one of the best DS emulators usable for PC and other systems depending on the version of the No$GBA that you can get. 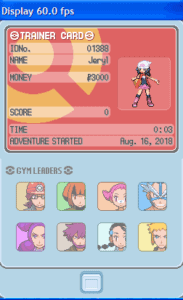 No$GBA is a good basic emulator for the DS. Just as we mentioned the latest version has fixed all of its problems. The emulation can run smoothly and the audio is clear. The emulator also has some nice features in-game that you can use like save states. One weakness is that depending on the download, you may need to set up the settings of the emulator. You need to set up things like frame rate, sound, and others. That’s when the emulator may run faulty if the settings are done from the start. 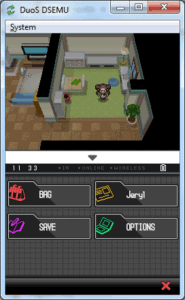 DeSmuME is by far the best DS emulator usable for PCs and it is free. The problem would be the ROMs but that is beside the point. There are multiple versions of this emulator so the older ones may be a bit buggy so make sure to follow up and use the updated version to ensure fast and efficient emulation. 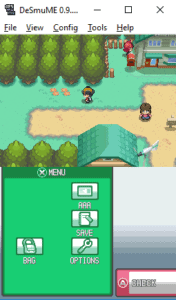 There are a lot of good things when it comes to this emulator. The first thing is that you can do the old quick save and quick load feature. You can save in states which can be a good form of feature where you don’t have to worry about save slots in the actual game. Then there is the fact that you can press the turbo button where you can speed up the game which can be very beneficial. It also supports cheat codes and a USB controller. There really isn’t a weakness to this emulator. Perhaps if you find flaws then we can just state that you’re using the outdated versions of the DeSmuME emulator. People may think that DS emulators are hard to find but there is a good amount of them and you can always get them for free and this list just showed you the best DS emulator for PC you can get. Haven’t heard of that emulator before but I would love to test it.